As the Appalachian Trail wound down Mt. Guyot to Crawford Notch, it took me past the Zealand Fall Shelter to beautiful Ethan Pond where I spent the night. 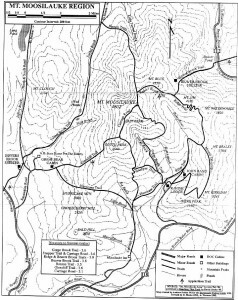 Rain made the hike a dreary slog, but the next morning cleared and I descended to the Notch that had once been a magnet for travelers and tourists seeking mountain relief from the summer heat of Boston and other cities to the south. 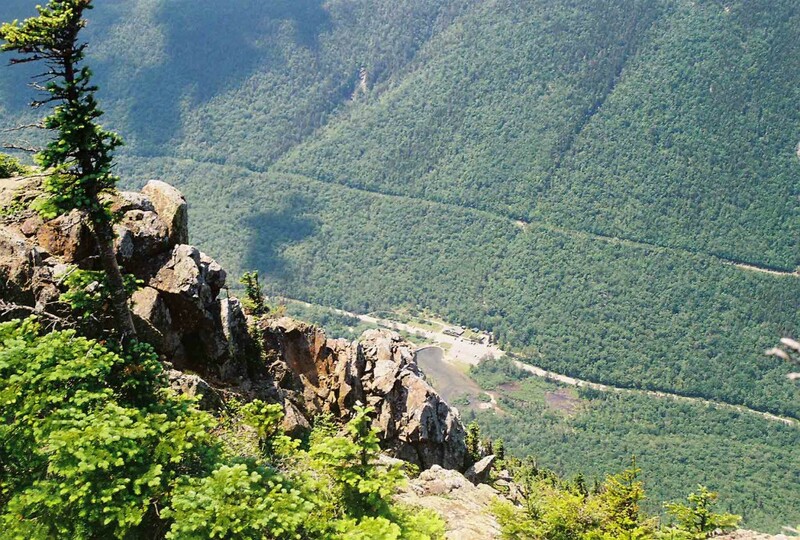 The first transcontinental automobile road, The Theodore Roosevelt International Highway (now #302), went through Crawford Notch. In the early years of the twentieth century, the area boasted four Grand Hotels. Even in 1967, the Notch was still active with tourists, but the splendor of an earlier era had long vanished. After crossing Route 302, the trail takes on a new character. It ascends the walls of Webster Cliffs on switchbacks. 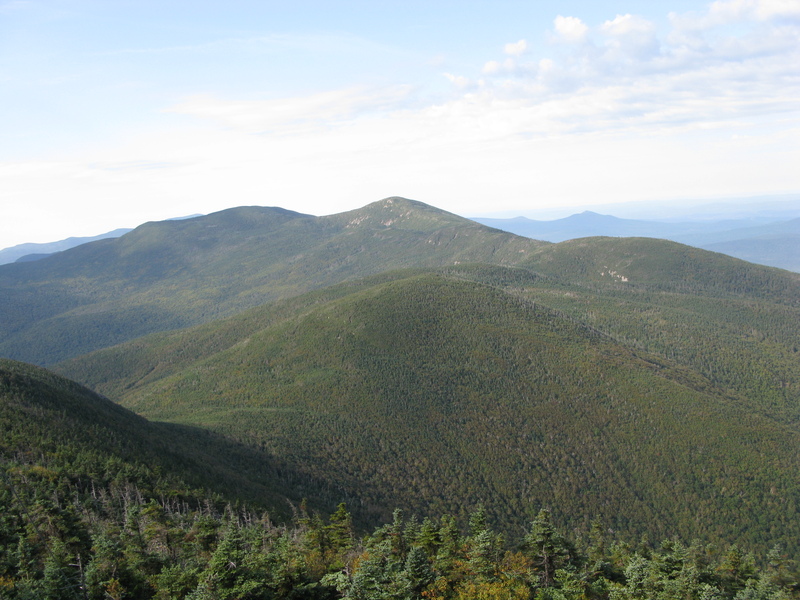 The exposure is moderate, but as you rise above the Notch, you enter a new world: the southern Presidentials, a prominent range of mountains named for American presidents that is notorious for having some of the worst weather on earth. Its high winds can produce winter-like conditions even in summer. I crossed Mt. Jackson with its rocky top and pushed on through the low-lying pines to Mt. Pierce (also known as Mt. Clinton) that provides some good views far to the north of Mt. Washington, the tallest of the range at 6,288 feet, and its weather and radio towers. Shortly after descending Mt. Pierce, the trail rises again above tree line and remains in the open over the next eleven miles of the rock and bolder strewn Presidential Range. I spent the night at Lake of the Clouds Shelter near Mt. Washington where I heard rumors of an off trail shack on the edge of King Ravine on Mt. Adams. Later I would learn that the shack was Crag Camp. It had been privately constructed at a dramatic 4,200 feet in 1909 – the last of the high cabins – and was taken over in the 1930s by the Randolph Mountain Club. I was told that the camp could be accessed by the Spur Trail at Thunderstorm Junction below Mt. Adams. My ankle had been acting up, so I decided to detour off the main route and descend to the Crag. I arrived in the rain. When I pushed opened the creaky door, I entered a hazy blur of people and smoke. All eyes turned to me as I tried to decide whether this was a vision of paradise or something more ominous. Then someone said, “Come on in and close the door.” I did as instructed and entered a world of camaraderie and warmth that came to represent everything I treasure about the trail. The difference between normal life and trail life is that on the trail everything is compressed. In our everyday existence, time is elastic; it can seem to stretch on forever, but on the trail, time is a stern companion. You track when the sun rises and sets and live consciously by the cycle of each day. Hikers delight in fair weather but struggle under blasts of pelting rain and gusting wind. As the environment changes, so do your companions: they appear and disappear with regularity. We may have our own agenda, but nature and the trail are the ultimate schedulers. My stay at Crag Camp lasted two nights. I left behind nameless friends and powerful memories but I had to push on. I climbed back up to Thunderstorm Junction, hiked up the rocky side of Mt. Adams and then over Mt. Madison before descending to Pinkham Notch and the long journey back to my future. But the memory of Crag Camp lives on. In fact, I could not stay away. 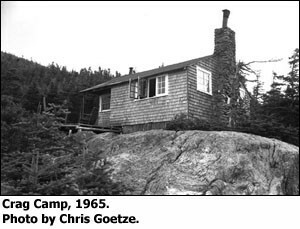 I returned to Crag with my son Alex in 1995; two years before, the old cabin had been torn down and replaced by a very different version of the camp. It still rested spectacularly on the edge of King Ravine, but the new building was nothing like the ramshackle cabin I remembered from 1967. In most ways it was much better – by AT standards the cooking, dining and sleeping facilities are now luxurious – but even so, the memory of those few days at old Crag keeps me coming back again and again. The Randolph Mountain Club’s video introduction to Crag Camp today. 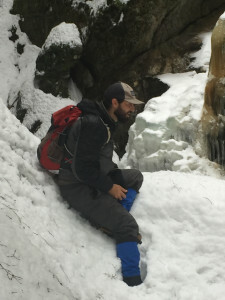 This entry was posted in From The Blog and tagged Appalachian Trail, camaraderie, Crag Camp, Crawford Notch, Hiking the Appalachian Trail, New Hampshire, Presidential Mountain Range, White Mountains on October 27, 2015 by rich. 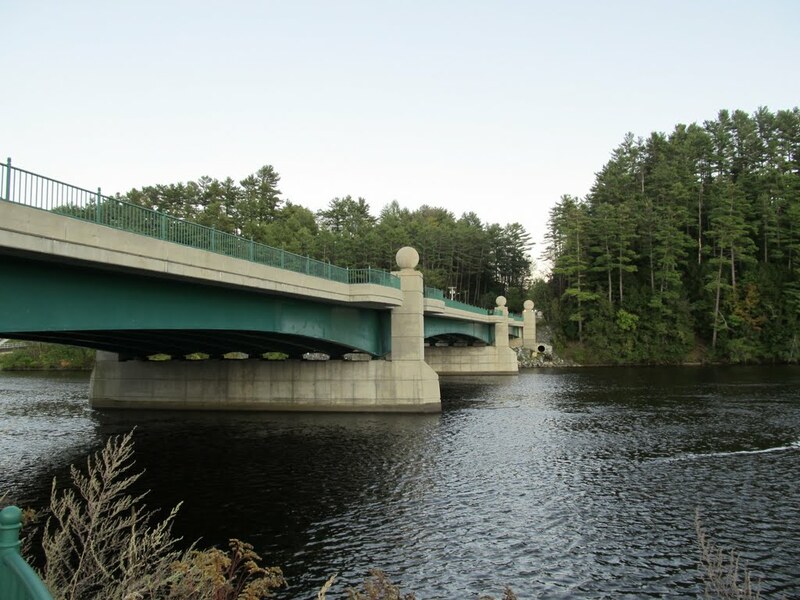 Just south of Mount Moosilauke in New Hampshire’s White Mountains is the tiny village of Glencliff. Hiking through the town in the late afternoon during my very first Appalachian Trail adventure, I noticed an older man sitting on a chair on a dilapidated porch of an unpainted house. He was watching me with an air of suspicion, as if he was the Sheriff and I was trouble. When I heard him harrumph as I passed by, I got the message and simply asked if the Appalachian Trail was nearby. He gave me a nod and I was off to look for the white blaze that would lead me back into the woods. Soon enough I happened upon an empty cabin just off the trail. It had been noted in the trail guide as owned and operated by the Dartmouth Outing Club, but it looked derelict to me. Nevertheless, I ventured inside and began unpacking. This dark, dank and uninviting shelter would be my place of rest for the night. 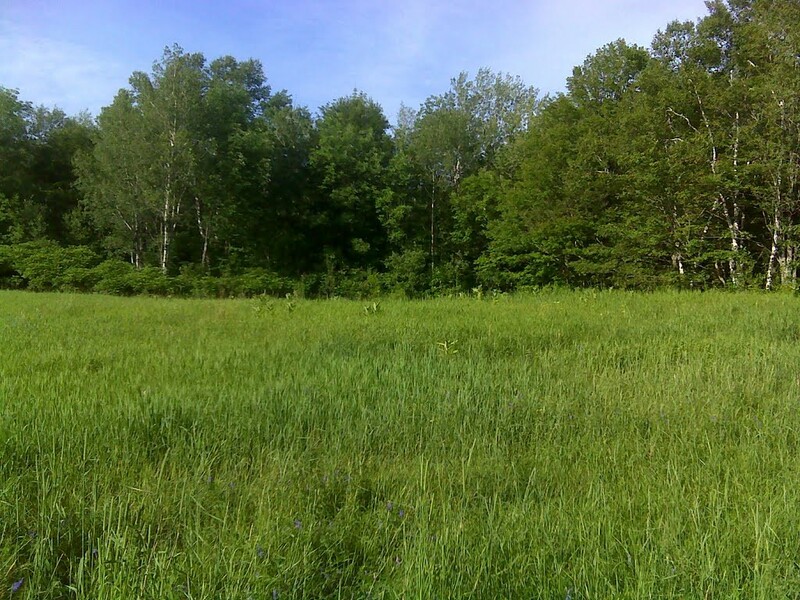 After a light dinner, I ventured out of the cold gloom of the cabin to take a short hike to an area that looked like an open meadow. As I drew close I could see that the light from the declining sun seemed to draw contrasting shadows against the bright yellows and greens of the high, uncut grass. I was the lone witness to this magical scene of natural tranquility and I soon felt as if I was melting into the beauty of this unexpected moment. As I stood in the middle of this natural still life, I became aware of deer grazing in the far corner of the field. They had not yet noticed my presence and so I kept still and quietly savored this fortuitous scene of solitary beauty. Time seemed to suspend itself just for my own pleasure. Then a soft breeze startled the scene much as a pebble does when tossed innocently into a placid lake. The deer lifted their heads in unison, sensing an intrusion. They hesitated another moment and then were gone. Suddenly I was alone again in a place that now was losing the warmth of the soft, summer colors that seemed so abundant just moments before. The field and the surrounding forests were turning dark as the encroaching dusk washed the landscape in its gray hues. For a short interlude that day, I know I felt the glad presence of grace in that setting. As night descended, I had to leave, to turn back to the cold embrace of that solitary cabin that awaited me. Yet today my memory returns to the field and the deer and the lustrous serenity of that late afternoon. I remember that day as grace edged in darkness. The light of that grace has held my heart over the many intervening years. This entry was posted in From The Blog and tagged Appalachian Trail, Beauty of Nature, Glencliff, grace, Grace in Nature, hiking, Mount Moosilauke, Nature, New Hampshire, White Mountains on October 14, 2015 by rich. 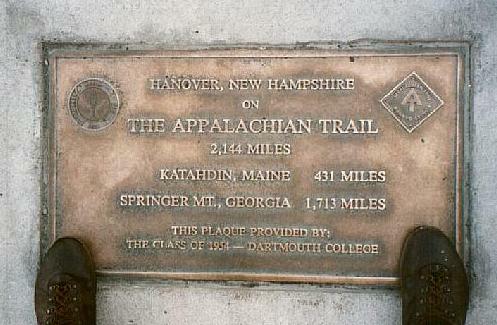 As I entered the bus bound for Hanover, New Hampshire, I was leaving behind more than Providence, Rhode Island. I had finished college and stood on the precipice between the comforts of college life and the terra incognita of the rest of my life. So as war was escalating in the Far East and as the Beatles’ White Album was climbing the charts, I decided to embark on a month-long walk in the woods. 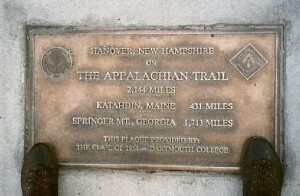 The Appalachian Trail enters New Hampshire where it crosses the Connecticut River at Hanover. After spending a final night of comfort in a Dartmouth dormitory, I began my trek at the water’s edge. The most difficult obstacle to peace and tranquility on the trail is acclimating to nights alone in the woods. Over time you realize that not every noise is a mortal threat, but early on, you try to sleep with one eye open. But the days were glorious. I soon began meeting fellow hikers and we would often spend a day or two walking together. This temporal fellowship would become an enduring and cherished feature of the trail; just as one hiking friend vanished into memory, another would show up to fill the void and on we would go, talking and walking as if we had known each other our entire lives. 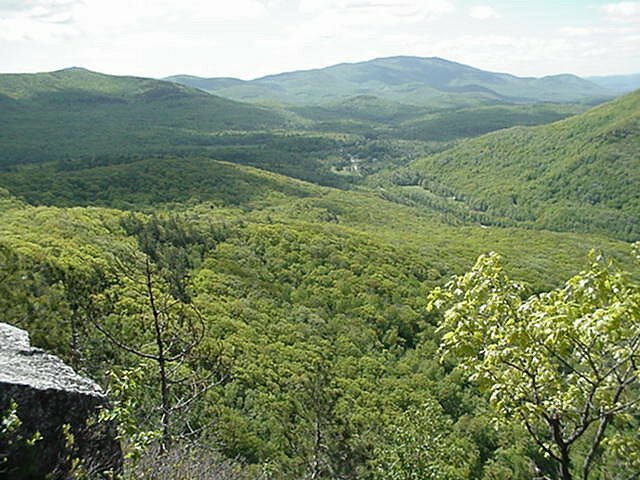 After crossing Mount Moosilauke, at the southwestern end of the White Mountains, the terrain becomes more challenging. 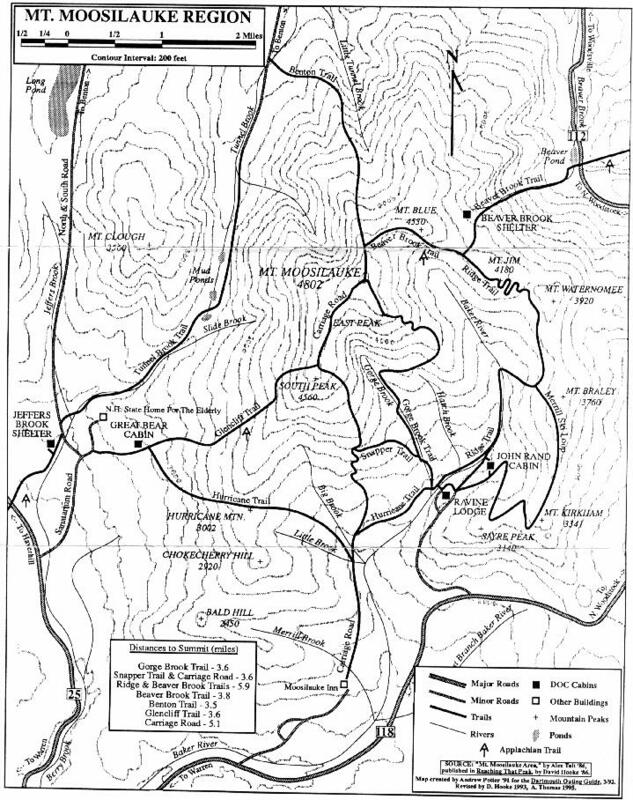 One evening, after hiking all day alone, I arrived at Eliza Brook Shelter at the base of South Kinsman. I looked forward to a solo dinner and a good night’s sleep when suddenly I discovered a very chilling number of snakes hiding under a rock near the door of the shelter. Suddenly, Eliza was not the place I wanted to be; I quickly gathered my gear and took off even as dusk began to wash my surroundings in gray. When motivated, you find unexpected resources within to achieve things you once thought impossible. I tore up the mountain, often using my hands as well as my feet. The trail up South Kinsman is steep in parts, very steep as I recall, but that did not deter me. Up, up I went, past a picturesque pond to my left that I did not stop to photograph. Up past the tree line until I was standing alone in the dark on the summit of South Kinsman, one of the forty-eight four-thousand footers in New Hampshire’s White Mountains. But my adventure wasn’t over. I still had to get over to its neighbor, North Kinsman, and find my way to Kinsman Pond Shelter. It was a long night. I recollect these challenging moments now with equanimity, but at the time I was discovering new emotions and new capabilities. Suddenly I had to get out of a place that changed in a flash from desirous to dangerous. I did not think about it; I just tackled every moment as problems arose. This was a rite of passage for me, an encounter with the unexpected which tested my knowledge of myself and my resolve. 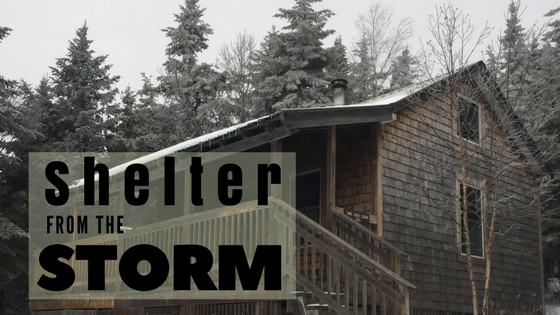 At Eliza Shelter I quickly decided to change my circumstances, even if that meant using all my physical and spiritual resources to somehow make things better. Encounters with the unexpected became an important theme of the Trail for me. How I responded would begin to shape my character and my life. 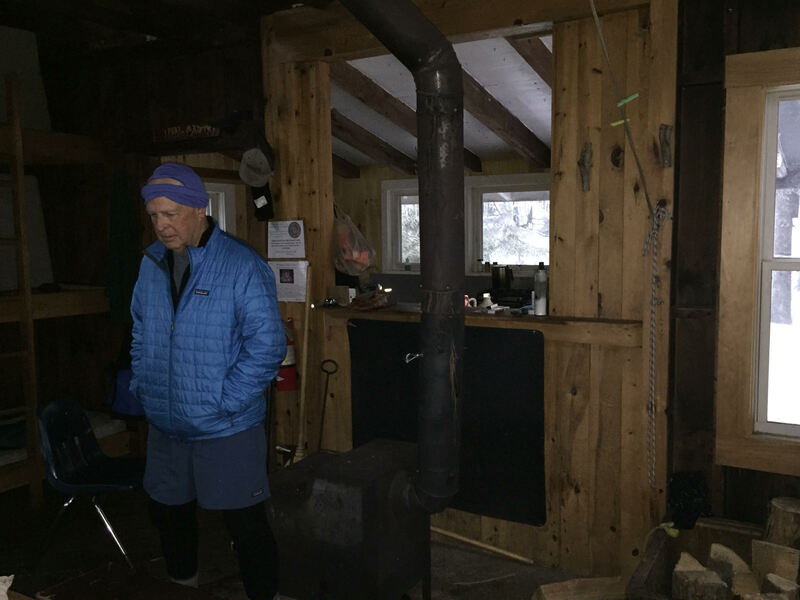 This entry was posted in From The Blog and tagged Appalachian Trail, coming of age, Eliza Brook Shelter, Kinsman Pond Shelter, Mount Moosilauke, New Hampshire, North Kinsman, South Kinsman, White Mountains on October 6, 2015 by rich.